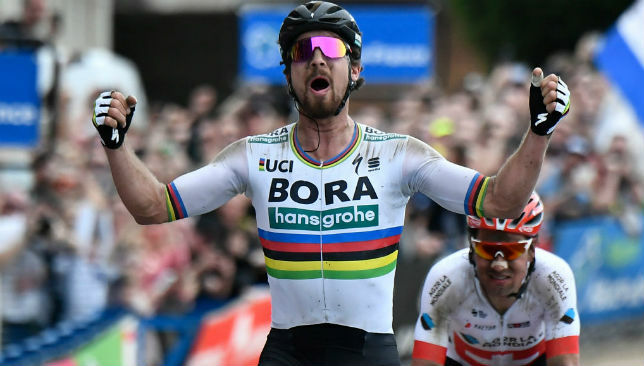 Three-time world champion Peter Sagan has confirmed he will start his 2019 season in Australia at the Tour Down Under. The Slovakian ace became the first big name to confirm his appearance at the traditional curtain-raiser for the UCI’s WorldTour. “Once again I am looking forward to being at the Santos Tour Down Under,” he said, after taking out the warm-up People’s Choice Classic and Stage 4 honours this year. Sagan will be making his fourth appearance at the event on the streets of Adelaide and through the surrounding countryside, which will take place from January 10-20 next year. South Australia holds a place close to Sagan’s heart, with the Bora-Hansgrohe rider making his professional Tour debut there in 2010. His commitment is great news for the race and organiser Mike Turtur who will feel Sagan’s announcement will lead to other big names committing to Adelaide. “Peter Sagan is a gentleman of the sport and the most popular cyclist in the world,” Turtur said. South Africa’s Daryl Impey was the overall winner at this year’s Tour Down Under. Alexander Kristoff also won a stage at this year's Tour de France. 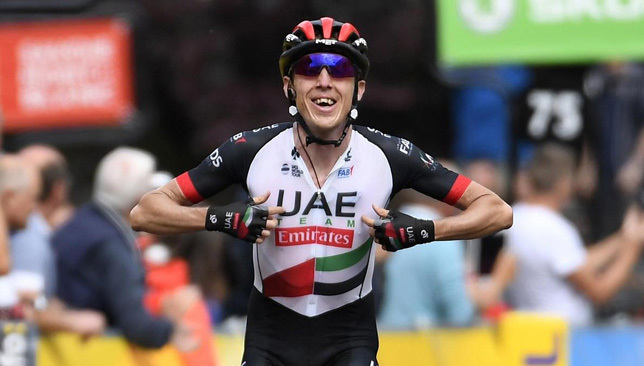 It says a lot about how far UAE Team Emirates have come in the last 12 months and their ambitions for the future that management is a little disappointed by their Tour de France heroics. 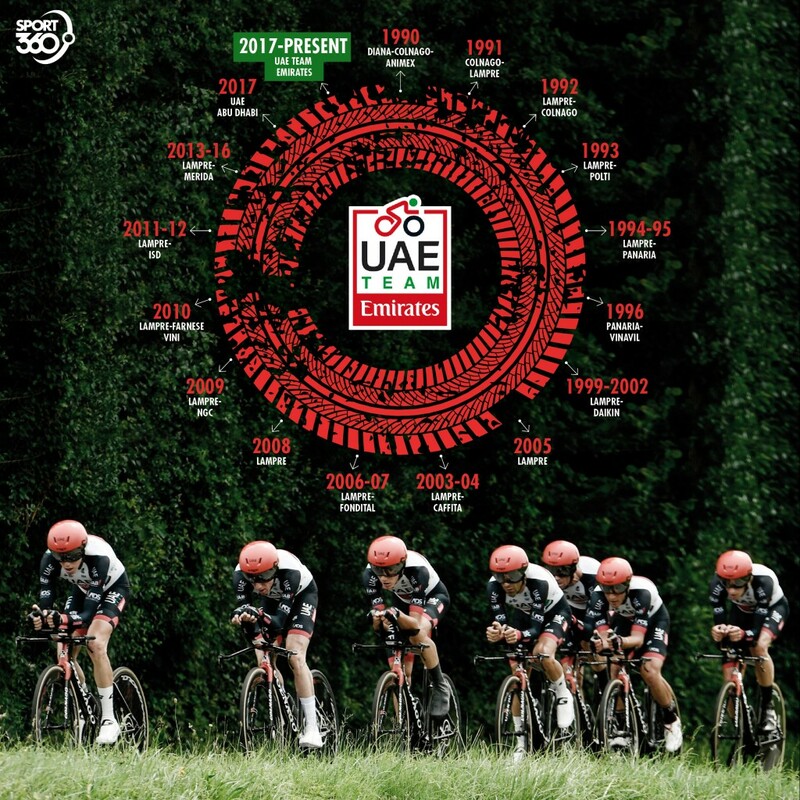 The UAE flag only adorned the UCI’s (Union Cycliste Internationale) WorldTour calendar for the first time in 2017 as the Emirates stepped in to rescue a flagging bid to bail out Lampre-Merida – synonymous with professional cycling since the early 1990s – at the end of the previous year. In their first season the side saw South African rider Louis Meintjes pick up eighth place at Le Tour. A year on they replicated that through new arrival Dan Martin. The Irishman also won Stage 6, UAE Team Emirates’ first-ever stage success at cycling’s most iconic race, and stood proudly on the podium on the final day as he collected the race’s most aggressive rider award. Additionally, Alexander Kristoff signed off perfectly with victory on the final Stage 21 parade into Paris down the picturesque Champs Elysees. The Norwegian speedster was also runner-up for the sprinters’ green jersey behind the merciless Peter Sagan – who has won the points classification in six of the last seven years. Not bad at all. But the team are still striving for more. They believe they can do better. “Honestly, we can’t ask more for this year (at the Tour de France), considering also the final eighth place GC (General Classification), after a crash and bad luck involved for our leader Dan Martin,” said Mauro Gianetti, the team’s business manager and glue which holds this ambitious project together. “At the Tour de France we achieved very important results: two stages victories, classics of the Tour like the Mur de Bretagne and the final sprint at the Champs Elysees. “The prize of the best aggressive rider; second in the points jersey; two UAE Team Emirates riders on the final podium in Paris. The first time ever. “But, for sure we are not happy about the results of the first part of the season. A lot of crashes, illness, injuries until the Giro d’Italia, where we started as a favourite with Fabio Aru, but he was forced to abandon. 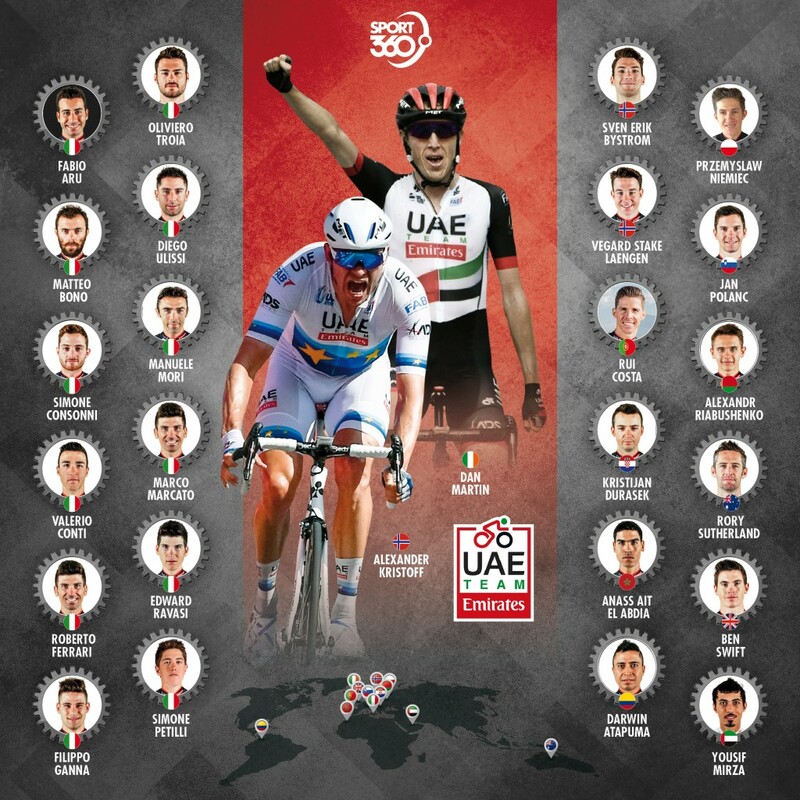 Gianetti is the guru who has played a huge part in guiding the UAE into the realms of the elite, having a WorldTour team for the country to call its own. Though he won’t admit it, the modest 54-year-old – a former professional rider of some standing – was integral to the team’s genesis. 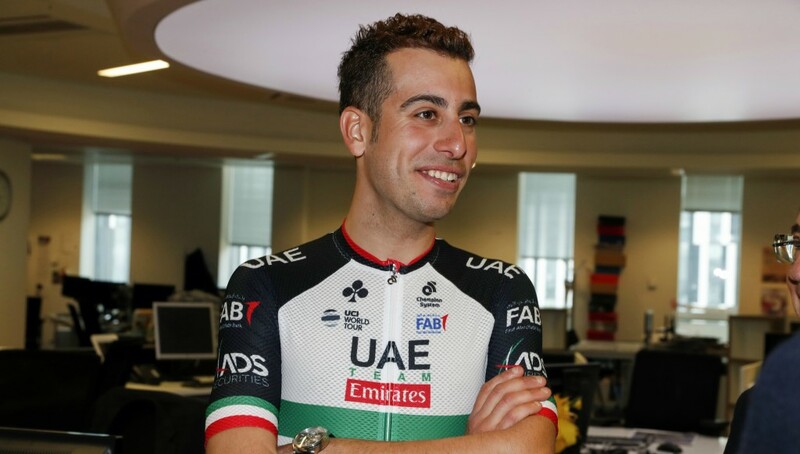 Gianetti stepped in when an original deal with Chinese backers fell through, putting in a phonecall to Emirati property tycoon Matar Al Dhaheri, offering him the chance of a lifetime – creating a lasting legacy for cycling in the Emirates. And just like that, the UAE had a seat at the cycling’s top table, among the Spanish, Belgian, German, French, Dutch, British and US giants. Cycling, traditionally a sport dominated by the heartlands of Europe, has stretched into the sandy hinterlands. Bahrain-Merida formed just a few weeks prior to the UAE. Before that, Astana, of Kazakhstan, and South Africa’s Team Dimension Data, both emerged in 2007, inserted real colour to the sport and competition to the likes of LottoNL-Jumbo, founded in 1984, and Spain’s Movistar, the oldest surviving team on the WorldTour, who have been around since 1980. It’s a radiant rainbow of nations which make up modern day cycling, with the colours filtrating down to the squads themselves. Green, red, white and black combine on the UAE flag and the country’s cycling team are also a true portrait of the sport today. The 26-strong squad is represented by 13 different nationalities (as seen in the graphic above) – one each from Morocco, Colombia, Portugal, Croatia, Ireland, Poland, Slovenia, Belarus, Australia, Britain and the UAE’s own Yousif Mirza. There are three Norwegians while an Italian core is retained with nearly half (12) of the team hailing from Lo Stivale (the Boot), where the team first kicked into existence, as Diana-Colnago-Animex, 28 years ago. Two of the new additions to the team a year on from forming have been key in both raising the team’s profile further and the number of wins collected. The talented trio of Aru, Kristoff and Martin came in with massive reputations – Kristoff is the reigning European champion while Aru is a Grand Tour winner considered one of the best athletes in the sport. Along with Martin they have joined Rui Costa, himself a former world champion. Success of course rarely comes easy. 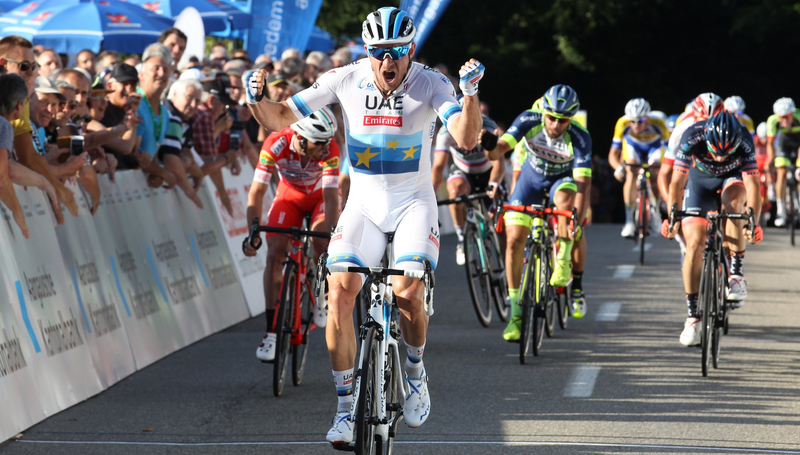 UAE Team Emirates have had a taste of top tier triumph under the previous Italian owners. 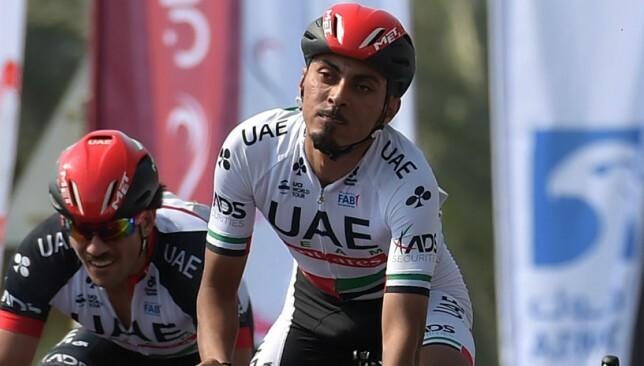 Yousif Mirza is one of 13 different nationalities among 26 UAE Team Emirates riders. In their previous guise it took the team 11 years to win a Grand Tour race. They are in the midst of just their second season so you will afford them some more time for the transformation to yield such reward. But this year’s Tour de France feels like a breakthrough, with Martin and Kristoff achieving smashing results. A top-10 overall finish – Martin finished just over nine minutes adrift of Welsh winner Geraint Thomas – as well as everything else should make Martin pretty proud. But the man who also won a stage in 2013 is not one to reflect, only envision. “I am never somebody who looks back and says ‘what if’,” says Martin, who might be forgiven for thinking just that after a crash on Stage 8, two days after winning Stage 6, saw him drop vital minutes and left him uttering the epic line “It looks like a bit of a pizza back there” about his damaged back. “I think it’s better to talk about what’s possible next year. How strong I was after I had recovered from my injuries and got second at the hardest finish (Stage 17’s Bagneres-de-Luchon to Saint-Lary-Soulan). Martin left highly respected Belgian outfit Quick-Step Floors after two years at the end of last season. He had a plethora of offers, from Team Sky – he turned the British team down as he wouldn’t be considered a team leader at Grand Tour races – Bora-Hansgrohe, BMC, Katusha-Alpecin and Trek-Segafredo. But the Birmingham-born puncheur has totally bought into the Middle East project. “The ambition of the team and where they want to take this project, that’s the reason I came,” he added. “I am also incredibly ambitious and believe in this project. I am also impatient and want to get to our goals as soon as possible but this process does take time. Obviously it’s not easy but my results the last few months show that great things are possible. The proof is in the pudding and Martin and Gianetti are right to keep their focus fixed on the horizon and dream of better. There are still two months of this season remaining, but the team are behind schedule in terms of last year’s success. A total of 16 wins were earned. Ignore the Tour de France fireworks and only 10 have been achieved this year. The fewest they claimed in four years of financial struggle as Lampre-Merida was 2013’s haul of 16. The wheels are in motion and in terms of their stable of riders, standing and progress, UAE Team Emirates are definitely on the right road. But there remains some way to go. 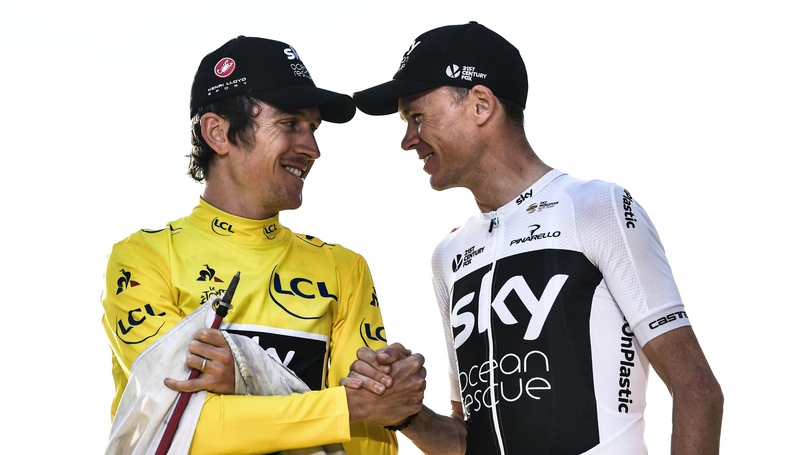 Tour de France winner Geraint Thomas and Chris Froome will line up for Team Sky in the Tour of Britain next month. In a major coup for organisers, Froome will ride his first Tour of Britain since 2009, with the six-time Grand Tour winner making a rare appearance of any kind in a British race. Thomas was once a regular in the Tour of Britain, but his appearance last year, when he finished seventh overall, was his first since 2011. Aside from a handful of low-level criteriums on the continent, Thomas has not raced since becoming the third Briton to win the Tour de France in July. The Welshman was drawn to last year’s Tour of Britain by its finish in his native Cardiff, and will again be on home soil when this year’s event begins in Pembrey Country Park, Carmarthenshire, on Sunday September 2. Thomas said: “As soon as I’d finished the Tour I knew I wanted to ride the Tour of Britain and race on home roads. It starts in Wales which will be special, and then I get to go and race across the whole of the UK. I can’t wait. Froome’s only previous participations in the Tour of Britain came in 2007 and 2009, and his appearance in the RideLondon Classic in 2016 was his only race to date in the UK since the London Olympics. “It’s been a long time since I’ve raced the Tour of Britain,” said Froome, who has focused instead on La Vuelta in the past four seasons, winning the Spanish Grand Tour for the first time last year. “The Vuelta a Espana has always been such a big goal and sadly coincided with the Tour of Britain, but not doing La Vuelta this year gives me the chance to come back to the UK and race on what looks like a great parcours. Following the start in Wales, this year’s Tour of Britain will take riders into the West Country and up to Cumbria before returning to its regular finishing circuit in central London on September 9.